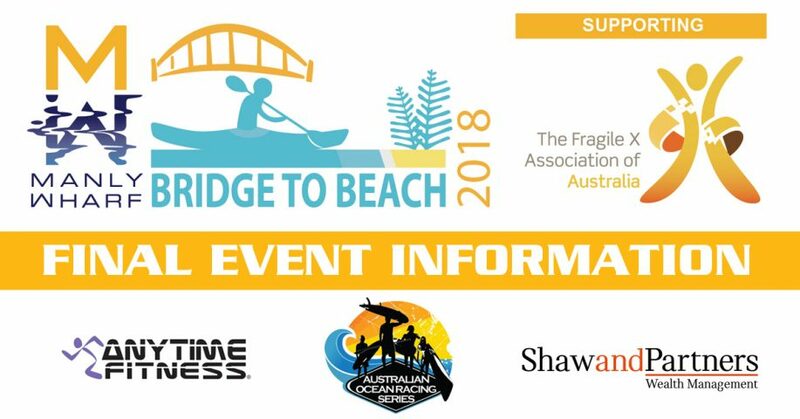 Thank you for registering for the 2018 Manly Wharf Bridge to Beach supporting the Fragile X Association of Australia that will take place tomorrow Sunday 25th February 2018. 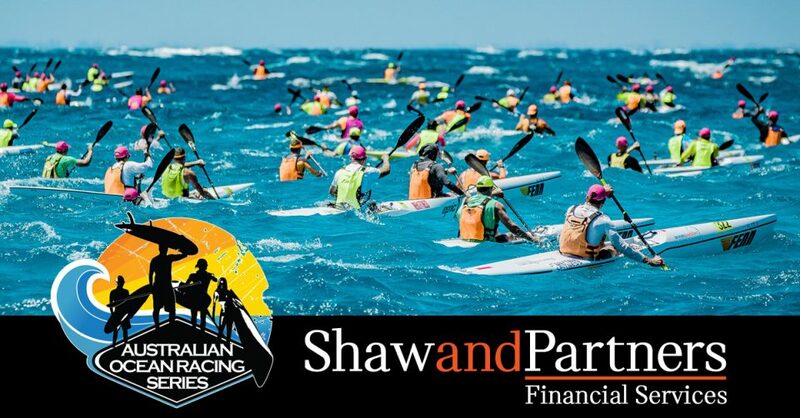 The event is the final race of the Anytime Fitness & Shaw and Partners Australian Ocean Racing Series. Thank you for your generous donation to the Fragile X Association of Australia when entering online. 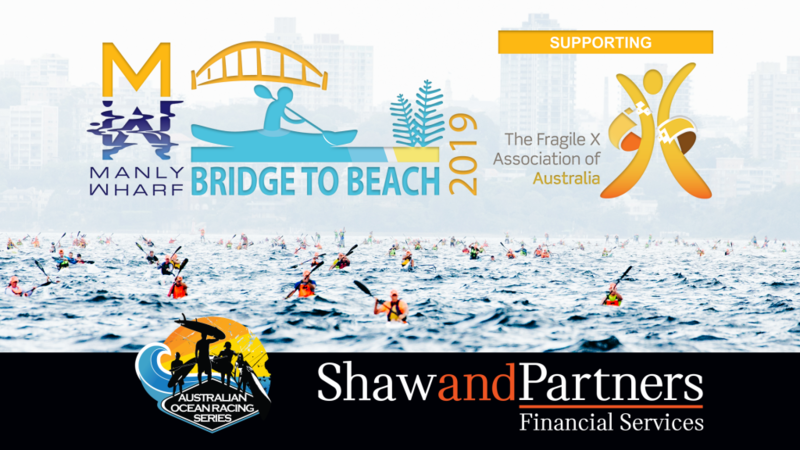 We would also like to thank the Shaw and Partners Foundation for matching the donations raised through the Bridge to Beach event. 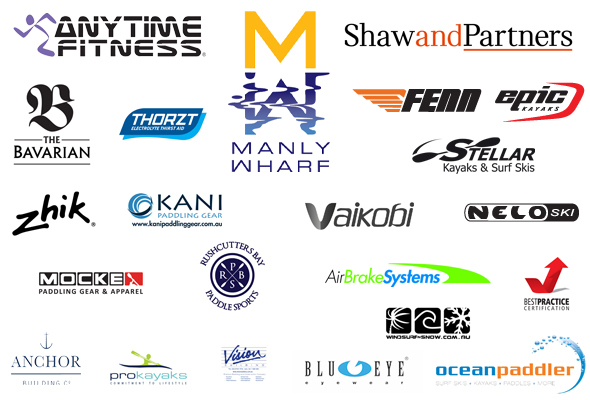 We would like to thank all our sponsors of this year’s Manly Wharf Bridge to Beach – Manly Wharf, Anytime Fitness, Shaw and Partners, The Bavarian, Thortz, Nelo Surf Ski, Epic Kayaks, Fenn, Stellar Skis & Kayaks, Vaikobi, Zhik, Mocke, Kani Paddling Gear, Wind Surf n Snow, Rushcutters Bay Paddle Sports, Anchor Building, Air Brake Systems, Pro-Kayaks, Blu-Eye Eyewear, Vision Building and Best Practice Certification . Please take the time to read this important information regarding event day. *****Make sure your leash is adequate for the predicted wind strength. When on the water, please ensure you listen to the direction of the safety and race officials at all times and follow the race course (see details below). Stay out of the main channel at all times when paddling by keeping all green buoys on your right hand side. Winds – North to northwesterly 10 to 15 knots shifting to southerly 15 to 25 knots early in the morning tending south easterly in the evening. Weather – Cloudy. 95% chance of showers. Registrations will be take place on both Saturday at Oceanpaddler and Sunday at Blues Point Reserve as outlined below. You only need to register once on either Saturday or Sunday. By registering on Saturday you will avoid the crowds and will not have to line up on Sunday. 12.00 – 5.00pm on Saturday at the Oceanpaddler store located at 410 Pittwater Rd, North Manly. Ph 02 8065 0385. Please don’t turn up before 12pm as we will not be ready. 6.00 – 7.00am on Sunday at Blues Point Reserve, the start location. All competitors will receive an official 2018 Australian Ocean Racing Series hat provided by Shaw and Partners. Please wear this in the race so we can identify you as a competitor. *** IMPORTANT SAFETY MESSAGE – If you register on Saturday then decide not to race on Sunday morning you must TEXT either Dean Gardiner 0427 171 403 or Yanda Morison 0414 45 46 48 to advise and be withdrawn from the event. This is extremely important so we know exactly who is on the water racing. Registrations will close at 7am. Please don’t be late. Compulsory race briefing for all competitors will be at Blues Point Reserve at 7am. Registrations will close at 7am prior to the race briefing. All competitors must wear an approved minimum Level 50 Lifejacket. Your lifejacket must be HI-VIS or brightly coloured for visibility. No black or dull colour lifejackets will be permitted. An approved Level 50S Lifejacket can only be worn with a Hi-Vis shirt over the top. Prone Paddleboard competitors only are permitted to wear an approved Level 100/150 Inflatable bum bag Lifejacket. Oceanpaddler will have these available to purchase or hire. Please contact us prior to reserve one. Safety Leash – These are required by competitors to maintain contact with their craft, which can be particularly difficult during high winds, or if someone should fall from their craft. (Coastal rowers and sea kayaks are exempt). Mobile Phone recommended – In case you pull out and need to call the race officials to be withdrawn from the event (Dean Gardiner on 0427 171 403 or Yanda Morison on 0414 454 648). As there is limited space to enter the water at Blues Point please do this quickly to allow all competitors ample time to make it to the start. All competitors must warm up inside Lavendar Bay and not in the main shipping channel. Competitors will be called out to the start line to correspond with the start waves as listed below. The start line will be approx 100m before the Harbour Bridge just outside of Lavendar Bay. Any competitors outside of Lavender Bay prior to their designated race start will be disqualified from the event. There will be five (5) start waves starting from approx 07:30am. The final start times will be announced at the briefing. Please ensure you know what start wave you are in. Competitors will be called out to the start line in wave order. Please listen to the direction of staff. Do not break the start or you will be disqualified. If you do not think you are a top contender please do not position yourself on the front line. If you do not make these cut off times a safety official will advise and endeavour to get you and your craft the finish line. Depending on weather conditions you may be dropped off at the closest accessible beach and your support crew will need to collect you. We will relay this information to the finish line. For this reason, we recommend carrying a mobile phone. Make sure you listen to the direction of the safety and race officials at all times and follow the race course. All competitors must pass the following buoys and safety vessels by keeping the buoys to their right. 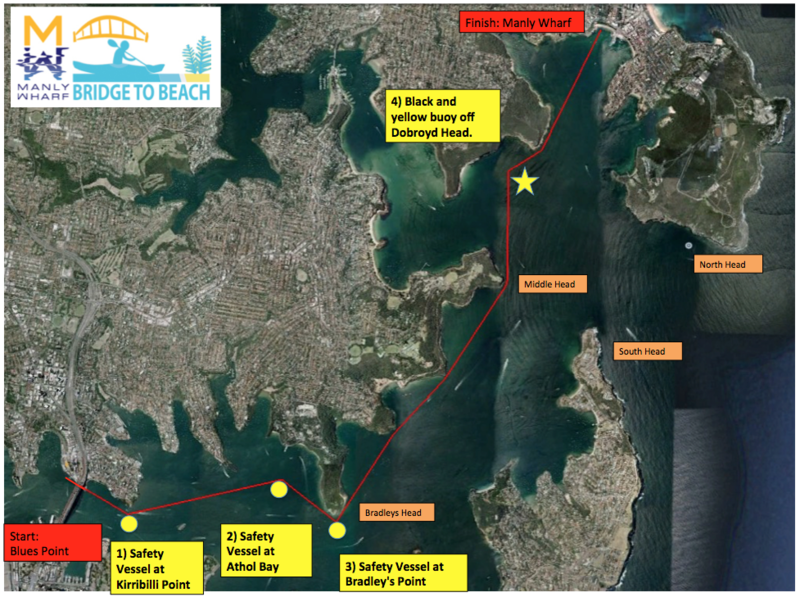 Competitors must keep well clear of the channel from Bradleys Head to Middle Head. This means keeping all Green Channel markers in this area on your right hand side. By going to these safety vessells and buoys you will stay clear of the ferry channels. Please follow the direction of safety and official boats. If you pull out of the event after the start or are withdrawn from the event you will be put ashore at the closest accessible beach. We will take your race number (timing number) and relay it back to the finish. This information will be announced over the PA to make your handlers aware of this and they may be required to come and get you. If you register and collect your timing chip on Saturday then decide not to race you must send a text to the event director Dean Gardiner on 0427 171 403 or Yanda Morison on 0414 454 648. If you pull out before the finish you must also text Dean or Yanda to advise. We strongly suggest you take with you a mobile phone with our numbers so you can call us if you pull out. The Bavarian will be hosting the Manly Wharf Bridge to Beach awards presentation on its outdoor deck at the end of the event from approx 10.30am. Sit back, relax and enjoy a specially designed lunch and beverage menu. All competitors will receive a free drink voucher following the race. Fragile X will be presenting prizes for those that participated in the fundraising challenge and donated online. Medals will be awarded to top 3 category winners. The Stellar Surf Ski lucky draw will take place at registration. Make sure you are there! Thank you to all our supporting sponsors.